As fans of anything cozy, we were pleasantly surprised to find that one of our favorite sips packs a whole lot of beneficial punches. Preventing cancer, promoting beautiful skin, and boosting the immune system, just to name a few. The perfect cup of jasmine tea has a delicate flavor and a full, floral fragrance. It's something we can picture ourselves drinking as the seasons transition from winter to spring, and still hold on to the feeling of comfort. It takes time and care to make the height of perfection with jasmine tea, which starts with green or Pouchong leaves infused with jasmine petals on cool nights. To achieve ideal tea-sipping, take inspiration from the tea growers themselves and practice patience and deliberation when prepping your cup of jasmine. Cozy up and read along on how to make the perfect cup of jasmine tea! 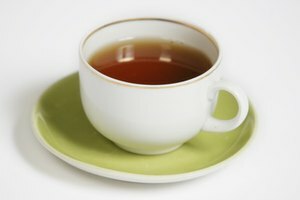 A cup of tea is only as good as its leaves so whenever possible, use loose-leaf tea. Typically, tea bags contain broken leaves and leaf parts such as dust and fannings, which compromise the tea's essential oil content and fragrance. Broken leaves also release an overabundance of tannins, which increase the tea's bitterness and astringency. 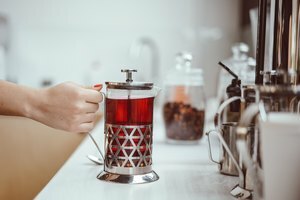 These are especially important considerations when brewing jasmine tea, as the flavor is light, the aroma is key and the green tea base makes it precariously easy to brew a bitter cup! Loose-leaf tea minimizes these issues. Without the constraints of a tea bag, the leaves expand in hot water, making for a more robust taste and more even flavor diffusion. If loose-leaf jasmine tea isn't available, whole-leaf tea sachets with a roomy shape and cloth mesh construction make for a comparable taste. While the leaves give your cup of tea structure, think of water as the foundation. If it sounds like we're reciting poetry, it's only because jasmine tea brings out the most sentimental in all of us. Whether brewing jasmine, oolong or Irish breakfast, high-quality water makes for high-quality tea. Spring water is your best bet, with filtered water a close second. The water should be low in alkalinity and chlorine-free. If you can, avoid tap water, as hard or chlorinated water may bring out a bitter edge! Delicate jasmine tea requires a much lower water temperature than darker teas; the water should be about 160 to 180 degrees Fahrenheit. If you don't have a thermometer on hand, look for what Chinese tea brewers refer to as “fish eyes” in boiling water; these are the bubbles that appear after the initial tiny bubbles (known as shrimp and crab eyes) but before the bubbles that break the surface (known as the “string of pearls”). Fish eyes indicate a temperature range of 160 to 180 degrees Fahrenheit. The perfect cup of tea is only a few minutes away! In terms of proportion, the ideal balance is about 1 teaspoon of loose-leaf jasmine tea per 6 ounces of water. Depending on the quality and intensity of the leaf and your own taste, you might experiment with a smaller or more heaping teaspoon. Bear in mind that bitterness often results from too much leaf. 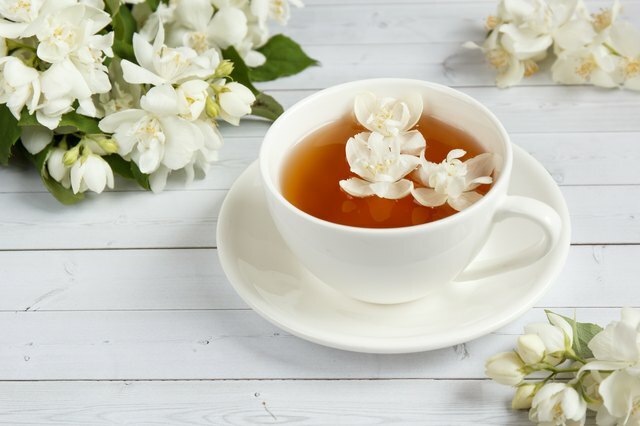 Whether steeped as an individual cup or by the pot, jasmine tea tastes best at about 2 to 4 minutes of steep time. 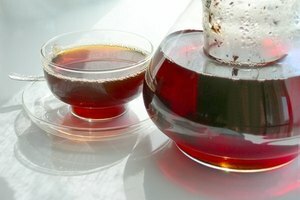 Steep time, which determines the tea's flavor and aroma intensity, is also a matter a preference. 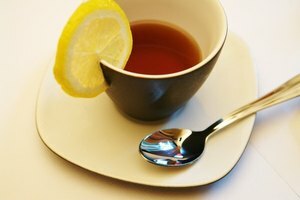 Start with 2 minutes and taste the tea at 30-second intervals to find the flavor you like! Enjoy!